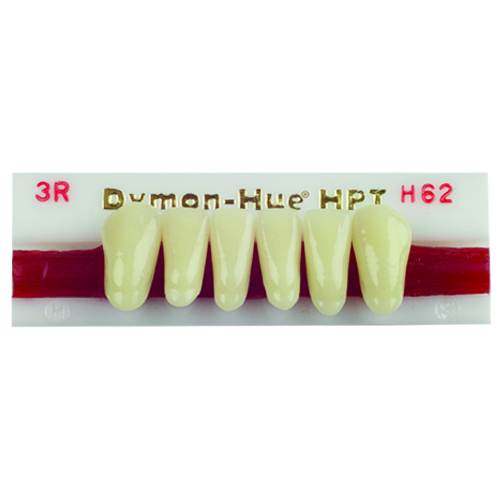 Dymon-Hue HPT (hardened plastic teeth) are a blended tooth similar to that of natural teeth. They are manufactured with lifelike aesthetics, high quality synthetic resin and have superior hardness. This tooth line is recommended as a “House Brand” tooth for laboratories. The cross-linking system employed is an Interpenetrated, Multi-layered, Intersectional Polymer Network which is solvent and heat resistant. No diatoric retention is necessary. 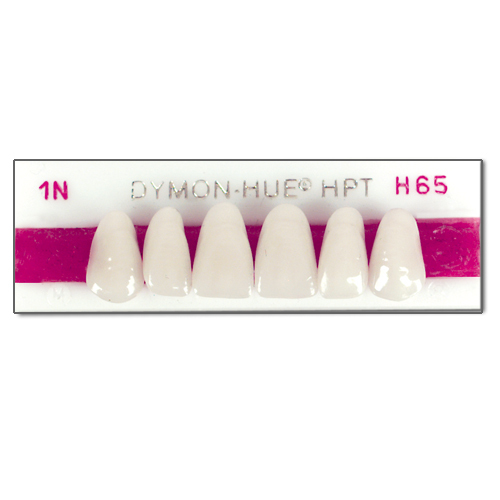 Dymon-Hue HPT anterior and posterior teeth are available in 13 shades – 59, 60, 61, 62, 65, 66, 67, 68, 69, 77, 78, 81 and 87. The copolymer is pigmented with inorganic type pigments that are color stable and unaffected by light or heat. Dymon-Hue HPT molds are available in 34 American anterior molds including 3P, 3N, A25, etc. ; and 40 American posterior molds including 10 degree, 20 degree, anatomical, short bite and flat plane. 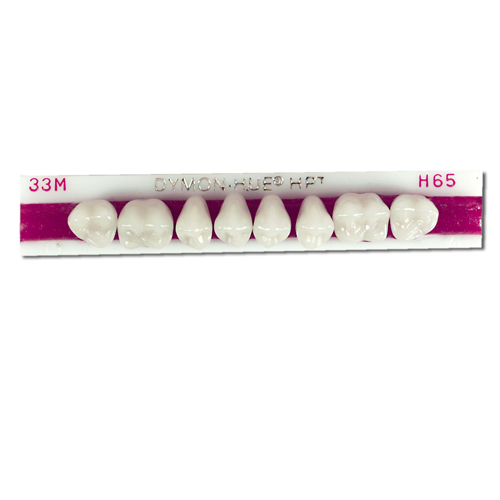 Dymon-Hue HPT teeth are made according to ADA Specification #15 for artificial resin teeth. The teeth are photogenic, vacuum-processed and are 100% guaranteed to be bondable to methyl-methacrylate denture base materials. All Justi tooth lines can be professionally cleaned using Renew Denture Cleaner. 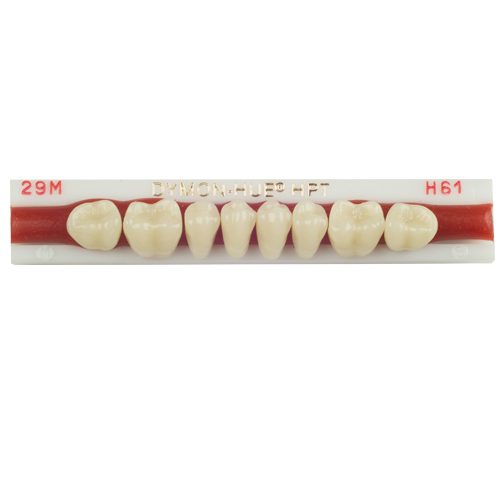 Justi Dymon-Hue HPT Hardened plastic tooth line now includes New Extra Large Anterior Mold #268.